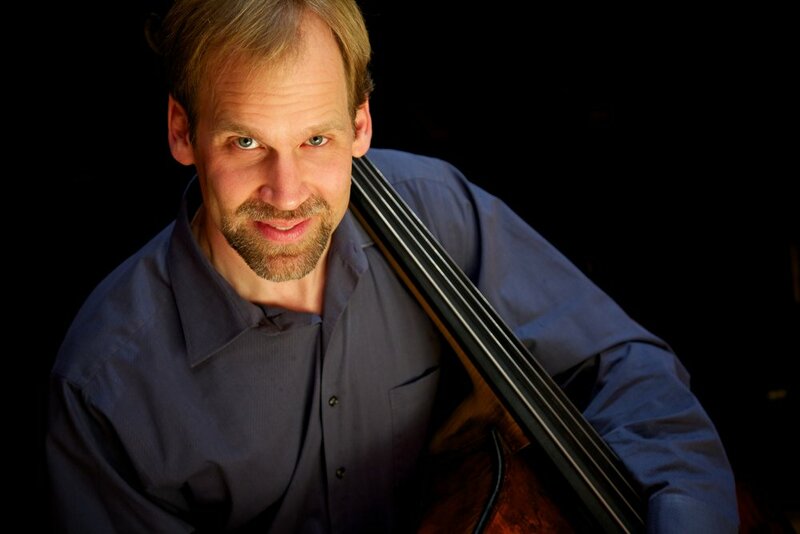 Paul Sharpe is the Artist-Teacher of Double Bass at the University of North Carolina School of the Arts, and is active internationally as an orchestral and chamber musician and as a soloist. Recent performances and engagements have taken him all over the world, including recitals and masterclasses at Orfeo Music Festival in Vipiteno/Sterzing, Italy, the Paris Conservatory, Institutes of Music in Curitiba and Porto Allegre in Brazil, the University of Iowa, Cleveland Institute of Music, World Bass Convention (Wroclaw, Poland), University of North Texas, University of Michigan, Interlochen Arts Academy, and two of Brazil’s International Double Bass Encounters in Pirenopolis, Brazil. Solo engagements with orchestra have included appearances with the Winston-Salem Symphony Orchestra, Boise Philharmonic, Anchorage Symphony Orchestra, Orquestra de Camara Theatro Sao Pedro (Porto Allegre, Brazil), Lubbock Symphony Orchestra, the Dallas Chamber Orchestra, and Fairbanks Summer Arts Festival Orchestra, and Aspen Young Artists Orchestra. He has been a guest artist at MusicFest (Arizona), Orfeo (Vipiteno, Italy), Green Mountain Music Festival (Vermont), Pine Mountain Music Festival (Michigan), the Anchorage Festival of Music, the Festival of Two Worlds (Spoleto, Italy), and 20th Century Unlimited (Santa Fe, NM). As a student of Jeff Bradetich he received the B.M. degree in Performance from Northwestern University, and he earned the M.A. degree in Music from the University of Iowa studying with Diana Gannett. While in school he received fellowships to the Tanglewood Music Center, Aspen Music Festival, and the Pacific Music Festival (Sapporo, Japan). He has been a prizewinner at several solo competitions, including the International Society of Bassists (ISB) Solo Competition in 1997, and winner of the Aspen Music Festival’s Double Bass Concerto Competition in 1996, and is a founding member of the bass quartet Bad Boys of Double Bass, all former prizewinners of the ISB International Solo Competition. He is also 64.5% (by weight) of the innovative cello-bass duo, “Low and Lower,” with cellist Brooks Whitehouse. In addition to his duties as professor at UNCSA he is Principal Bass of the Winston-Salem Symphony Orchestra and Piedmont Opera. He served as Principal Bass of the Lubbock Symphony Orchestra from 1996-2007, and performed frequently with the Fort Worth Symphony and San Antonio Symphony while living in Texas. Before coming to UNCSA he held faculty positions at Texas Tech University, the University of North Texas, Augustana College (Rock Island, IL), and the Preucil School of Music (Iowa City, IA).